// Safe to use API here (gapi.client.games). This is a dense article and mostly everything is shown through examples above, so I will keep the writeup brief. The first step is to become a developer on Google and use the console to create the artifacts for your game. It’s pretty straight forward, but will cost a one-time fee of $20. The two tricky parts to setup are linking an app to a game and setting up trusted testers, if you do not publish the game making it public. For the purposes of a web game, linking an app means entering the URL for the game. Each URL will have its own entry and therefore its own client ID (which goes in the header meta information). 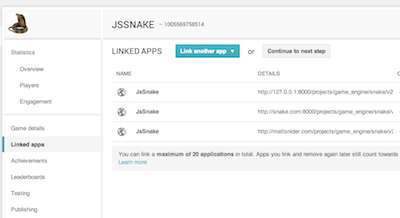 You can have any number of linked apps, so have at least one for production and one for development. If you have trouble authenticating G+, make sure the URLs are correct and that you are using the right client ID. Trusted testers are the email address of people who can authenticate against your game, even if the game isn’t published yet. These emails should be the G+ account of testers, and allows developers to authenticate before the app is publicly available. 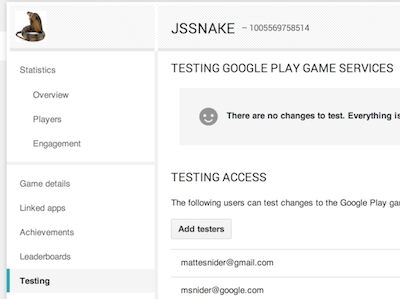 Unfortunately, since Google Play Games Services is a Google product, it currently only uses G+ for authentication. I think this is limiting, but hopefully a better authentication story can be found in the future. Once, the user authenticates you need to create/fetch a player ID for them from the Games service (shown above). 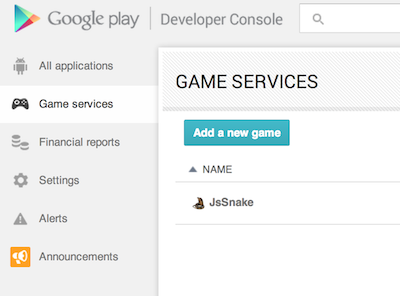 You will have a limited amount of information about the player on the player object, but more importantly can now start calling Games services APIs for your game on the player’s behalf. The Games services API endpoints are a lot like database tables with definitions and instances. For achievements there is the list of achievement definitions (achievementDefinitions.list()), which are unique per game, and a list of achievement instances (achievements.list()), which are unique per player. 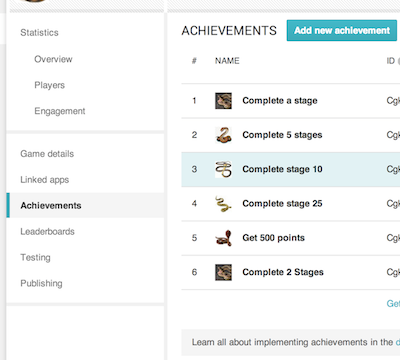 The achievement instances reference the achievement definition ID and must be mapped together in your code to properly indicate the state of an achievement for the current player. Incrementing, setting, revealing, or unlocking an achievement are all calls that the developer makes against the API to indicate the player’s current progress in the game. 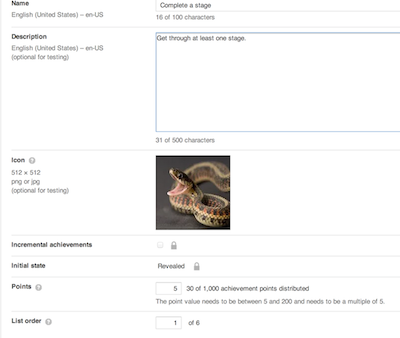 To see a working web implementation, see version 3 of my Snake game. I have shown how to work with Achievements, but leaderboards and turn-based multiplayer work much the same. Additionally, once you adopt our services, you have already done the hard work and will be ready for new features which we are frequently adding to the API. Currently, all APIs are REST and the only optimizations built into the APIs are URL caching through headers. I have been playing with automatic client-side storage of GET requests, but there is a lot of room for improvement. Additionally, it would be cool to build a more developer-friendly wrapper around the REST API to increase adoption. If anybody takes this task up, feel free to reach out to me for reviews and help.